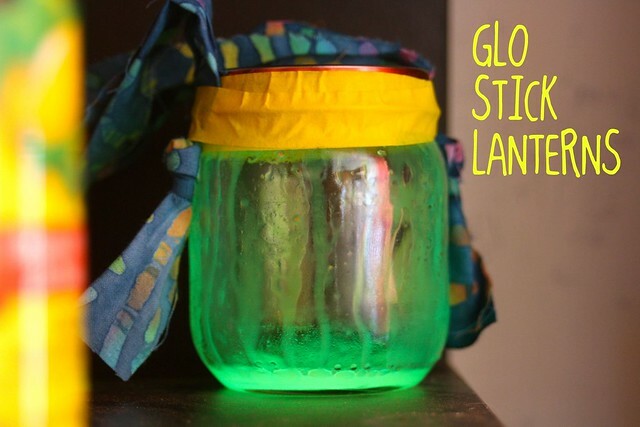 g is for glo stick lanterns…and HAPPY NEW YEAR! 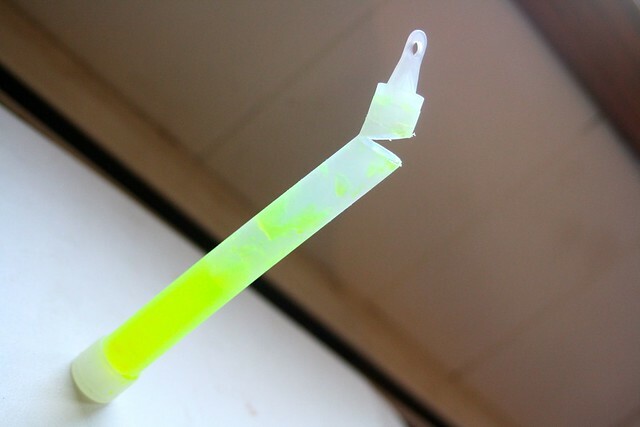 i’ve seen these on line for quite some time…i thought they were made with glow in the dark paint…but then i found some made with glo sticks! 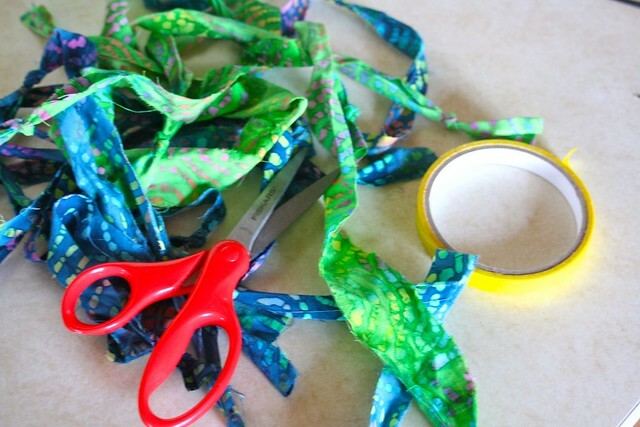 i don’t know if they’ll last minutes or hours…but they are fun, fun, fun! 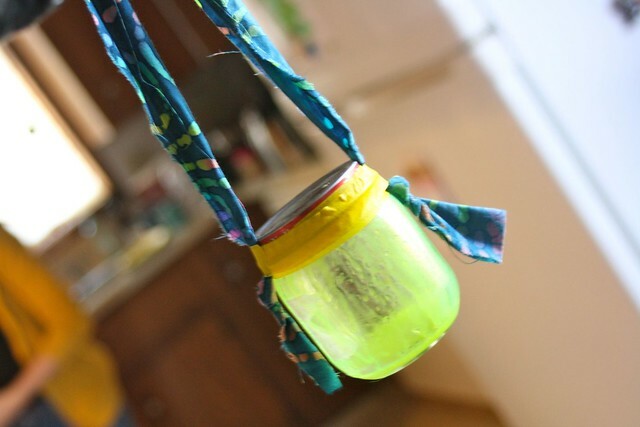 fabric strips knotted on each end, masking tape, baby food jar (and kids who love to eat peach baby food…though they never ate baby food as actual babies! ), and glo sticks. 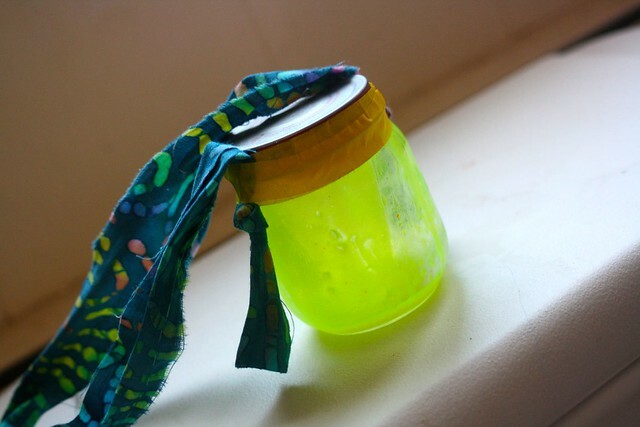 cut the glo stick open (i used a knife), pour some of the glo stick liquid in the jar, close up the jar, tape over the lid/jar seal to prevent leaks, tape the fabric strip handle on (the knot will keep the handle from slipping out), shake and light up the night! we are storing this made one in the freezer and that makes a cool effect while the frozen liquid melts too! 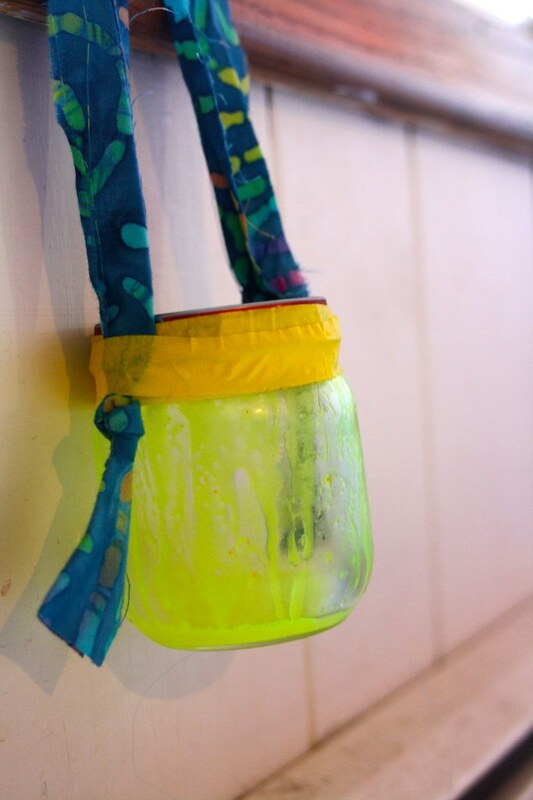 we’ll take a night time walk tonight as part of our new year’s eve festivities…glo stick lanterns are coming along! m is for merry christmas..
Love this idea. Sharing it with my fans at https://www.facebook.com/pages/A-Parents-Life/336772016426413 Come check us out.